iGiveCatholic Campaign Set For #GivingTuesday! 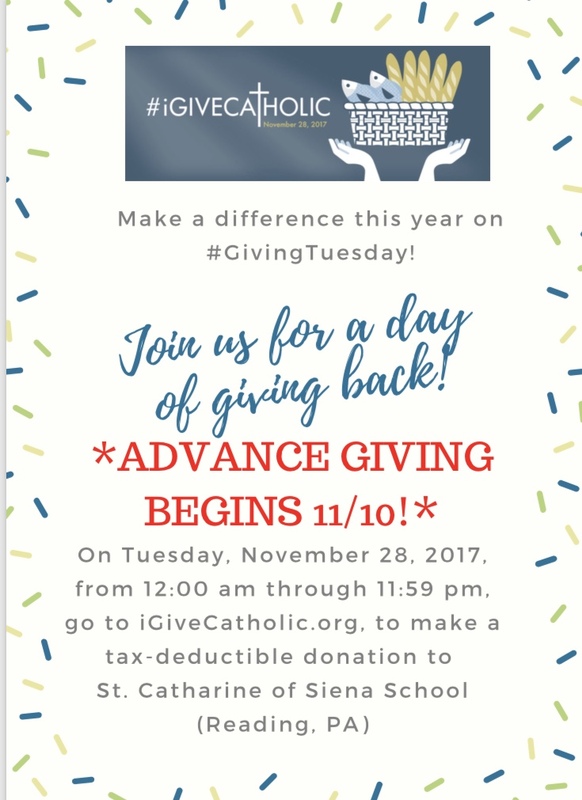 This #GivingTuesday (11/28/17), you can make a tax-deductible online donation to St. Catharine of Siena School by going to iGiveCatholic.org. Why wait! You can schedule your gift now in Advance at iGiveCatholic.org. Why Give Catholic? Check out this video and give us exactly 1.5 minutes to tell you!